In attending the Austin Food and Wine Festival, one can expect to meet, mingle and sample some of the most innovative dishes of our time against the iconic backdrop of the Austin skyline. Showcasing new techniques, flavor profiles, and celebrity names the festival will not only expose talent to a broad range of passionate food lovers, but could quite possibly launch you into stardom. No stranger to the limelight, Chef Tim Love has been seen on Iron Chef America defeating world renowned chef, Masaharu Morimoto as well as making an appearance on Top Chef Masters in 2009. As the chef and owner of Lonesome Dove Western Bistro here in Austin, his restaurants span the nation from Seattle to Knoxville. Best known for his urban, western cuisine, Chef Love's heart still remains here in Texas and pays ode to local talent by hosting the Austin Food + Wine Festival's 2016 Kickoff lunch. 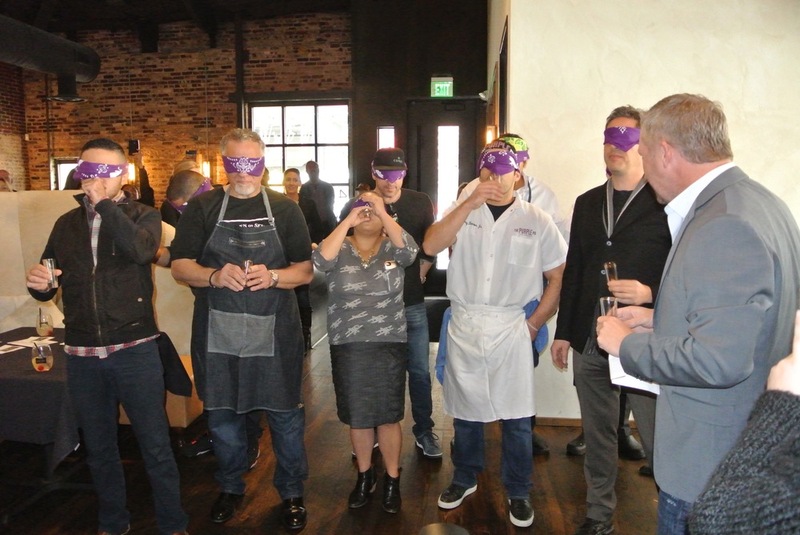 As a preview of what's to be expected during this year's festival, Love presented three talented chefs during their kickoff leaving us in drooling anticipation of what's to come. 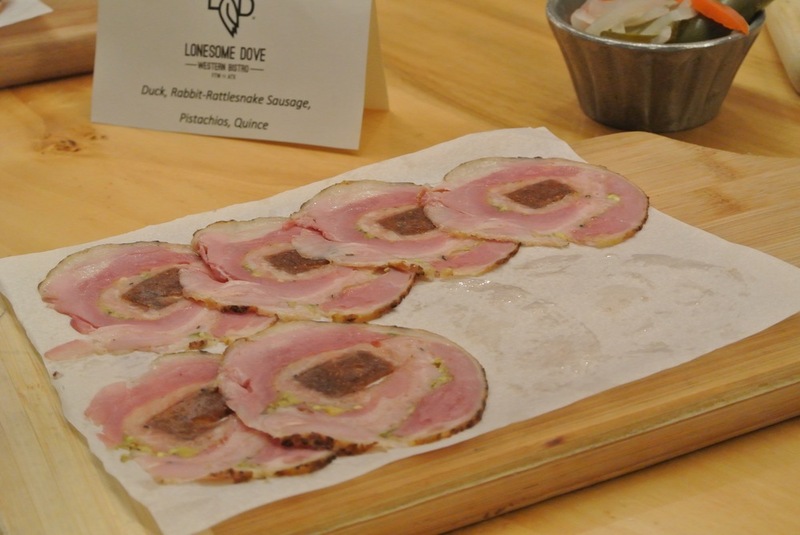 Displaying many different types of wild game, Chef Love's Fettine boards represented his southern roots by presenting three innovative flavor combinations. 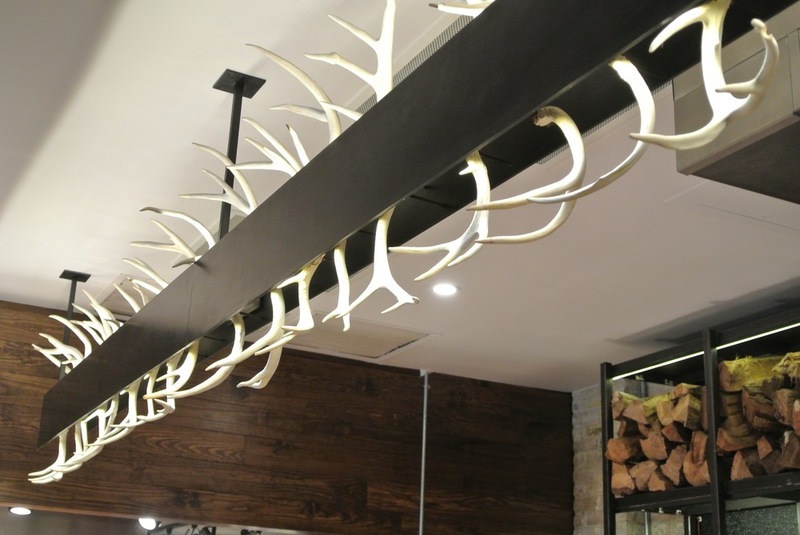 Ranging from duck and rabbit-rattlesnake sausage to Elk and pork, Love showcased nothing short of his signature Western fare by transforming these early frontier ingredients in a modern way. 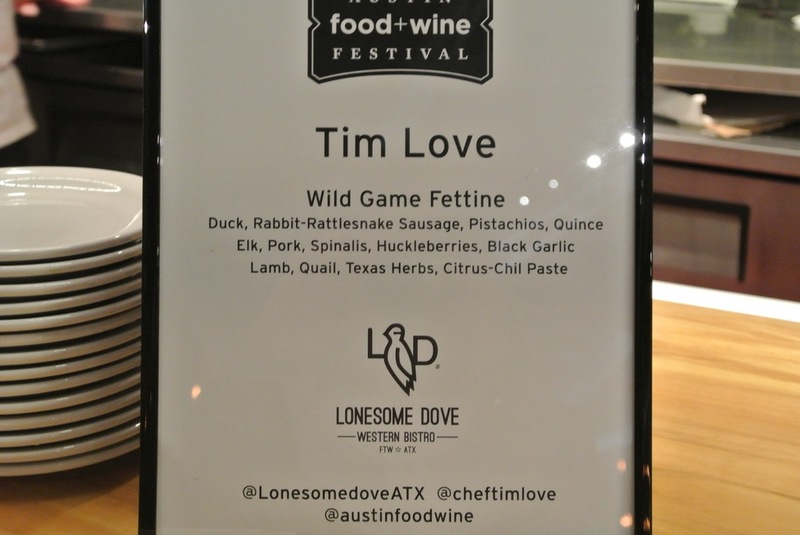 A crowd favorite, the Lamb, quail, Texas herb, and citrus-chili paste was a true standout and my personal favorite of the Fettine boards. 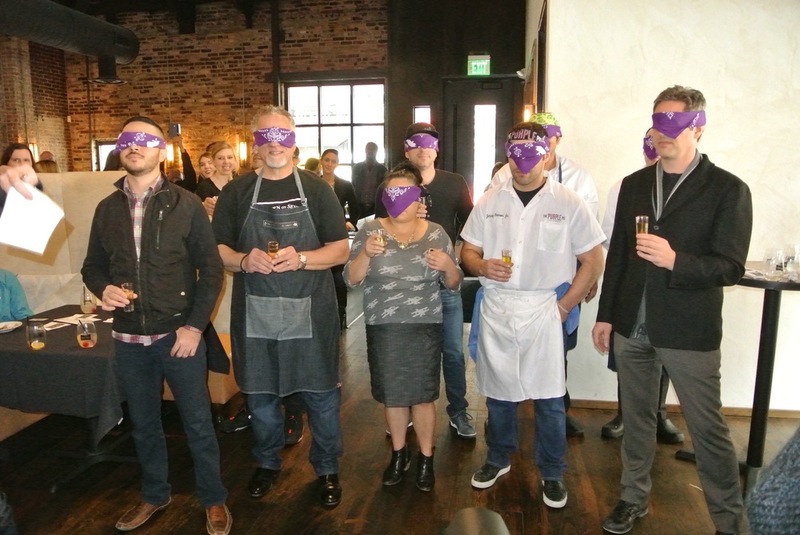 Chef Love also treated his guests to a spicy Deviled stuffed crab featuring the Lonesome Dove Hot Sauce for a kick, that not only was hearty, but remained moist and flavorful while showcasing the crab's delicate, sweet taste. Known for featuring some of the world's up and coming talent, the cult following show, Top Chef has helped launch yet another (local) favorite into stardom. As the winner of Season 9, Chef Paul Qui has paved his trail within the competitive Austin restauranteur scene. As his newest addition to the empire, Otoko, debuts here in Austin (2016), the multi-course omakase experience blends Tokyo-style sushi and Kyoto-style kaiseki into a unique tasting menu, selected and prepared by their chefs based on ingredient availability and seasonality. 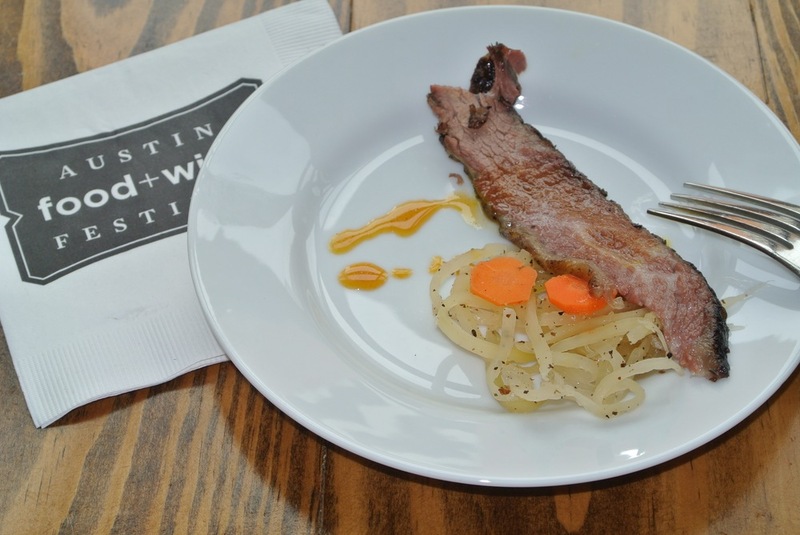 However, if you're not lucky enough to grab a spot at the coveted 12-seat bar, which is only available during the first of every month, you can check out some of his dishes during the 2016 Austin Food & Wine Festival. For the kickoff lunch, Chef Paul Qui and his team created a delicious smoked Texas Wagyu Short Rib with an Acharra and savory fish caramel sauce. As a nod to Chef Qui's passion for Asian ingredients, his take on the traditional Filipino condiment, Acharra, a pickled unripped papaya, served as the perfect accoutrement and peppery crunch to the tender Wagyu. Not one to be missed, one of my favorite dishes of the day was created by father-son duo, Chef Jimmy Bannos and his son Chef Jimmy Bannos Jr. of The Purple Pig. A cheese, swine, and wine eatery out of Chicago, the duo presented a strong seasonal dish showcasing a melt in your mouth, braised beef navel as a nod to Texan cuisine. The dish was beautifully dressed and accompanied with a bright applesauce terrine, winter squash medallion, and a Pedro Jimenez sherry reduction that kept you unapologetically coming back for 3rds. 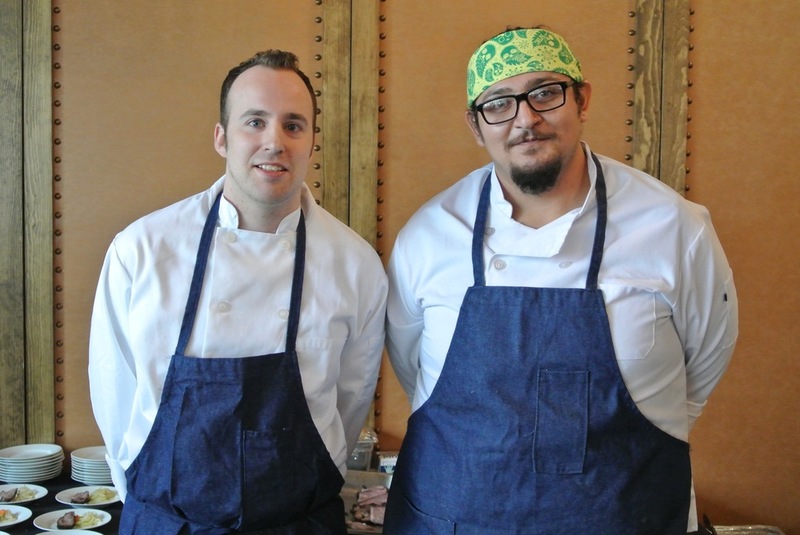 The Purple Pig: Chef Jimmy Bannos & Chef Jimmy Bannos Jr. Dubbed the 'Prince of Pork' by Dana Cowin (Food and Wine Editor & Chief), Jimmy Bannos Jr. has received many professional accolades including the James Beard, Rising Star of 2014. 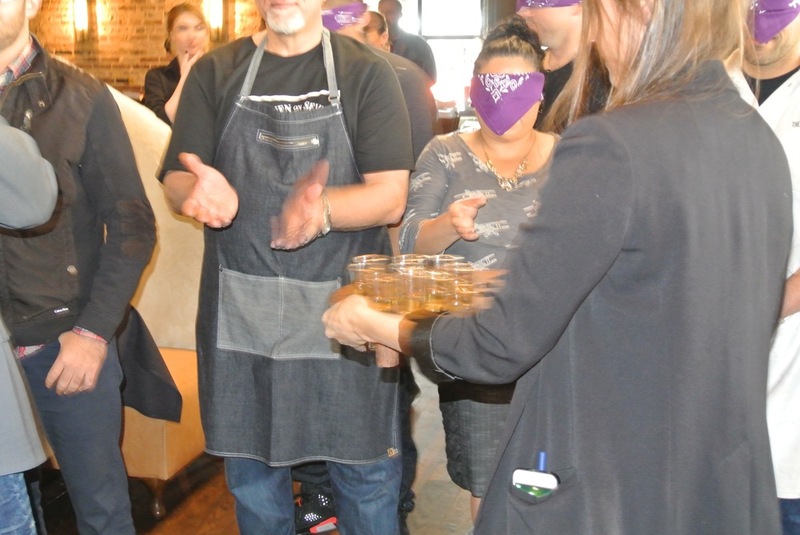 Following a mentorship from his father and training by nationally renowned Chefs, as a fourth generation restauranteur, we can expect some great things from him. 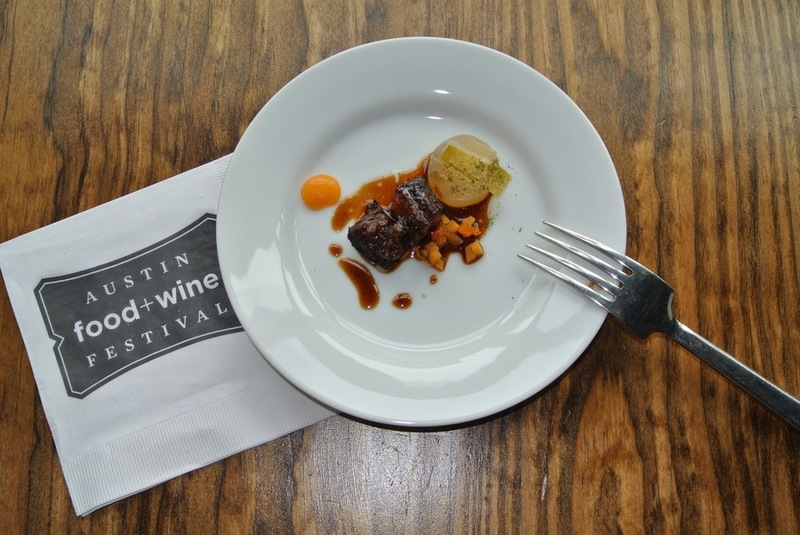 Be sure to get your tickets for this year's Austin Food and Wine Festival April 22-24th of 2016 to sample some stellar dishes and meet this year's budding talent.